The Barnes and Noble Nook first generation e-reader is officially discontinued today. Customers are now unable to purchase new content, register with a BN.com account, or sign in using a NOOK account. Users will still have access to their purchased content and are able to continue sideloading ebooks. If you log out of your B&N account or perform a factory reset, you will lose everything. Barnes and Noble decided to discontinue this device for two reasons. 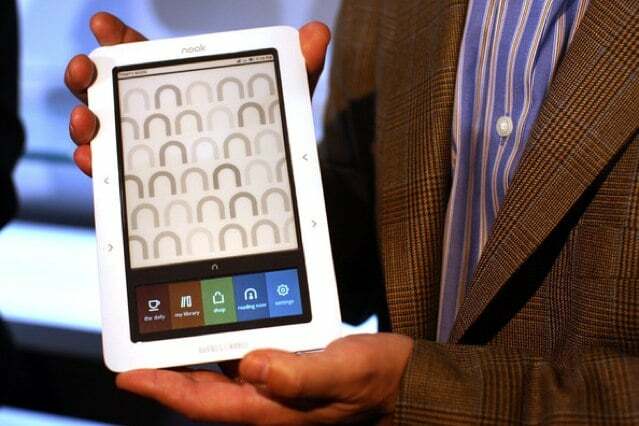 Firstly the original Nook came out in 2009 and many users have switched to a different e-reader. The second is primarily due to B&N implementing new security standards, known as Transport Layer Security (TLS). TLS Versions below 1.2 are being phased out, and devices accessing the Internet that are not updated to utilize the required TLS Version will not be able to perform many functions related to Internet connectivity. This is why the bookseller issued a new firmware update for all of their e-readers and tablets. Barnes and Noble has told Good e-Reader that they are offering people with 1st generation Nook a 50% discount on a Nook Tablet or the Nook Glowlight 3. The Nook Tablet can be attained for a paltry $25 and the NooK Glowlight 3 is available for $59.99. Nook users will be emailed a promotional voucher code that be redeemed online or in stores. Apparently many users have disclosed that in order to qualify for this deal you have had to purchase ebooks within the last few months. Apprenntly B&N does not want to give discounts to people who have been using their first gen Nook as a paperweight. If you have purchased an ebook on your Nook within the last three months and did not get the email, you can call them at 877-831-2393 Monday-Friday 8AM–11PM EST and Saturday-Sunday 9AM–11PM EST. Please be prepared to provide your NOOK 1st Edition serial number. If you need assistance locating your serial number, click here for instructions.